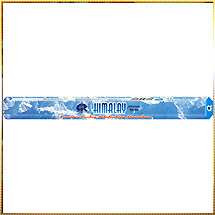 We have explored the lap of Himalayas to bring you the most exotic range of Himalayan Herbal Incense Sticks, their fragrance can mesmerizes all. Fresh flowers, special herbs, and a wide variety of biotic combustible materials collected from Himalayan region have been used by us to bring forth our range of Himalayan Incense Sticks. Lingering fragrance of these Incense Sticks made from Himalayan herbs emanates a royal splendor and luxury that spread a majestic effect and enchants everybody. It releases less smoke and spread magnetic fragrance that captures mind, body, soul, and spirit. Also, it heightens your spiritual experience by increasing your concentration and thus brining you closer to God.